One of the most popular questions asked about tile and grout flooring is; How do I keep my tile and grout floor looking clean? · Pitting or Indentations in the Tile that Attracts Dirt - There are many types of tiles like these in the stores today that are very popular. The great thing about these is they can have a nice ‘rustic’ look and anti-slip properties. The problem is that dirt and soils can easily fall into the pits and very quickly get dirty. This is not an easy problem to deal with. One answer is to use a wet & dry cleaner too blast and vacuum the dirt out of the pits. If done regularly enough, this can keep the floor in a reasonable condition. Other than that, once the floor has been professionally cleaned, a regular maintenance plan will really help to keep it cleaned and maintained. · Grout Discoloring or Looking Dirty Very Quickly – Sometimes if you have a grout colour that is too light for the floor or area it is in, it can start to look darker or dirty very quickly. The first thing to do is to protect the grout with an impregnator sealer. If this doesn’t work, or it’s too late for this, then a deep professional clean could help. You may even be able to re-colour the grout to something that is more suitable to the tile and area it is in. 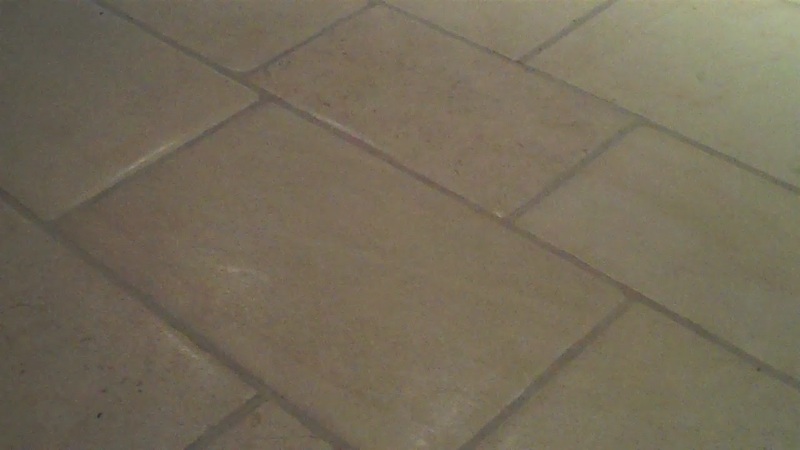 · Missing or Cracking Grout - That tile in your kitchen or bathroom looked so stunning when it was first put down. But over time, you start to notice that the grout is cracking and pitting. You can repair the grout and give your tile that beautiful look it had just after it was put in. By following a few simple steps, you can repair cracked, pitted grout and have your tile looking great again. It involves removing all the old grout and reapplying new grout. · Tile Looking Flaky or Dull – This problem only occurs on certain types of tile, most often if the tile has been polished with a topical surface polish. This is normally due to the polish wearing out or having completely worn off the tile. The best way to solve this is to strip, seal and polish the tiles and maintain with a neutral PH floor maintainer.